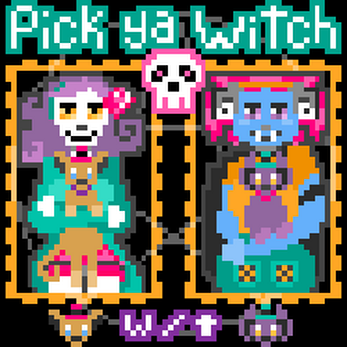 Match wits and black magic bubbles in this fast-paced, kawaiicore puzzle game! Play as a creepy-cute witch and let your loyal familiar handle all the hard bubble-tossing work. 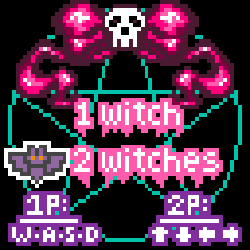 Put your magical prowess to the test by dropping powerful chain reactions in single-player mode, or hex your best witch friend in two-player mode. 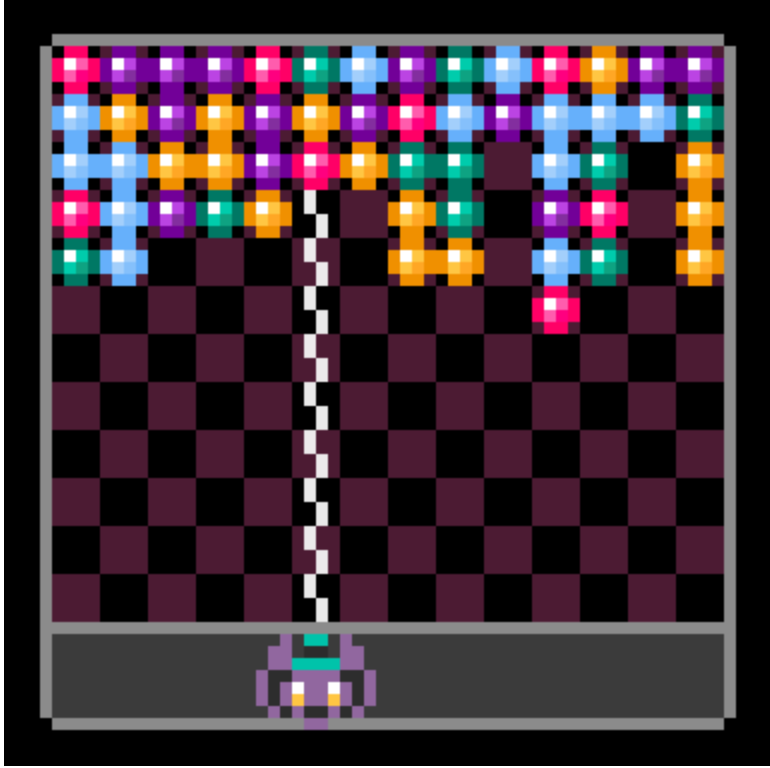 As bubbles come down from the top of the screen, you can collect bubbles by pressing "down" (or "s"). Fire bubbles back up again using "up" (or "w") to build a vertical stack of three or more bubbles of the same color and clear those bubbles. 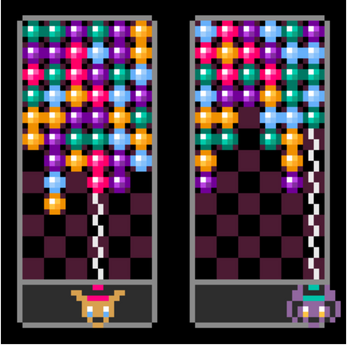 When a vertical stack of bubbles clears, bubbles of the same color on a horizontal row will also clear. Vertical stacks will also clear when bubbles fall after an initial clear--building chain reactions! Additionally, you can pick up multiple bubbles of the same color at a time and hold them all until you fire them up again. Sound and tighter game play coming soon! Very nice variation on the match 3 concept. I'll have to try to two player version next. Great job! Clever use of such a small area of pixels.